Surf’s Up! 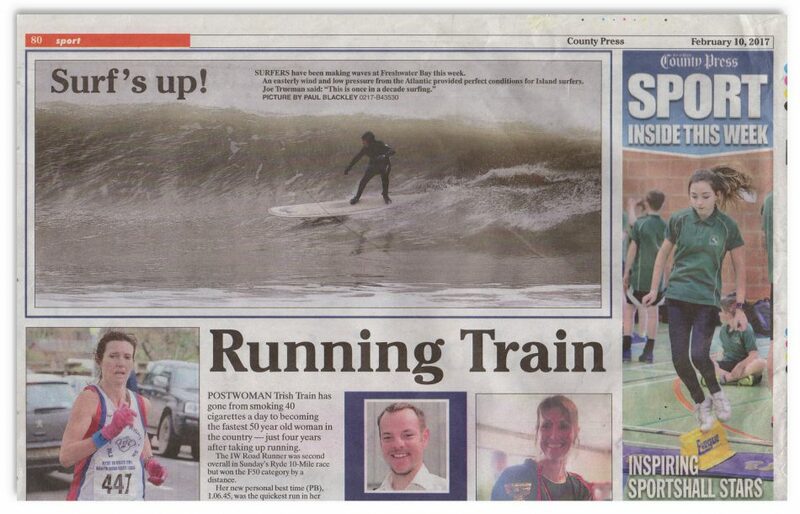 Isle of Wight County Press. Today was the coldest and smallest session of the week, but it was still fun to be out there with the occasional shoulder-high set coming through, and as i was shivering in the car park getting changed afterwards, it was all topped off by having local surfer / photographer and friend Paul Blackley hand deliver a copy of the County Press, with a photo of me surfing at Freshwater Bay on the back page. It’s got a quote from Joe Truman underneath it, but anyone who knows us both won’t get confused by that as he’s a much better surfer.